If topic clusters are the next frontier for SEO, HubSpot's SEO Tool is the vehicle that will expedite your arrival there. Topic clusters work not only to boost the domain authority of your entire site, but also to help bolster key pages (pillar pages) by linking high-performing blog posts and site content back to them. Though it may sound complex, the SEO Tool is designed to give you the ability to visualize your internal linking strategy in a simple, organized and coherent way. But the buck doesn't stop there. There are additional features of the SEO Tool that make it an exceptional resource for improving and evaluating the performance of your content marketing strategy. We've laid out a few other ways HubSpot's Content Strategy Tool can help you refine your content marketing approach and better connect content back to your buyer personas. Sometimes, performing extensive keyword research to find new topics can lead you to lose sight of what really matters to your target audience. You focus on finding a niche keyword or topic that has a low-difficulty rating and when you find it, that golden rating clouds further considerations as to that word's relevance. In many cases, newfound keywords may not even relate to the topic you originally sought out to research and will put you at risk of losing the interest of your buyer personas. The research that your marketing team has put into honing your buyer personas should give you a good understanding of your audience's basic wants, needs, motivations and interests. 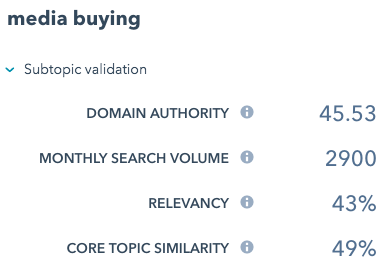 The topic cluster tool can help you remain true to these points by generating new topic ideas to implement within your content strategy and validating their relevance to your persona's established interests. 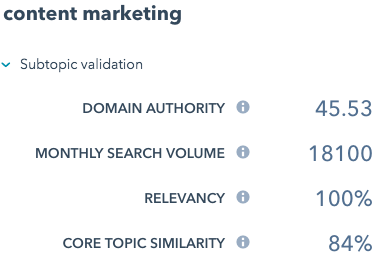 By choosing a pillar page and a topic on that page to focus on, the Content Strategy Tool will automatically generate a list of related subtopics, taking into account factors like search volume, relevance to your overall site and similarity to your core topic. According to the tool, "content marketing" is much more relevant to "inbound marketing" than "media buying" is. It's also more relevant to the content of New Breed's site as a whole. Based on the assumption that our pillar topic is relevant to our buyer persona, we can come to the safe conclusion that these personas may be less interested in learning about media buying than in learning about content marketing. Fortunately, you can use data to test the validity of your conclusion. In addition to the metrics provided within the Content Strategy dashboard, users now have access to other key metrics within HubSpot's Analytics Tool. This tool measures key behavioral metrics from each cluster you create, including the number of contacts generated, bounce rate and the average time a visitor spends on a page. The ability to track multiple posts within topic clusters will give you a more accurate representation of a topic's true performance. Looking solely at a topic's traffic volume is not enough to determine true relevance. A topic may be generating a high volume of traffic, but also yielding a higher than average bounce rate or a lower than average page time, or it might just not be generating enough new contacts to warrant the additional traffic. These metrics are all indications that the topic may not be relevant enough, despite first impressions. At the end of the day, the ability to track the performance of a given topic on different levels makes it even easier to tie SEO decisions back to your overall marketing strategy and sales goals. When evaluating the success of your content marketing strategy on an SEO level, the SEO Tool will give you a more informed understanding of what topics are producing the highest caliber leads that ultimately convert into paying customers. 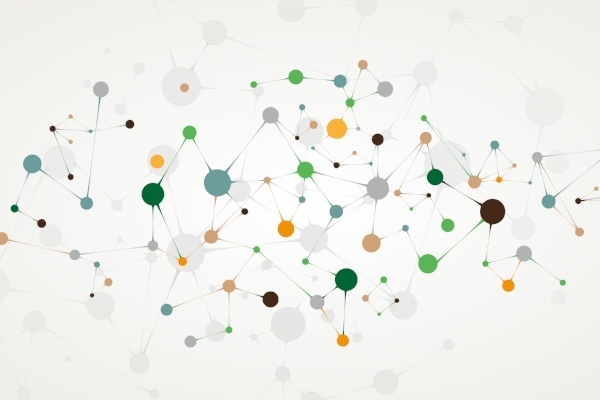 The ability to view topics as part of a larger network can help you determine their relevance and strategic value with greater accuracy and efficiency than is possible on a post-by-post basis. Though the SEO Tool can be pivotal to helping you hone your inbound marketing strategy, it's important to keep in mind that it's still just a tool; its success is contingent on the knowledge and expertise of those leveraging it. The real legwork comes from you and your team understanding how to translate data insight into actionable marketing strategies that better capture the interest (and pocket share) of your buyer personas. Want to learn about other SEO practices that will help drive traffic and increase visitor engagement with your website? Download our Ultimate SEO Checklist below to discover what other optimization opportunities you're currently missing out on. Jason is an SEO specialist with experience leveraging various analytics platforms to improve brand visibility and hone marketing strategies.